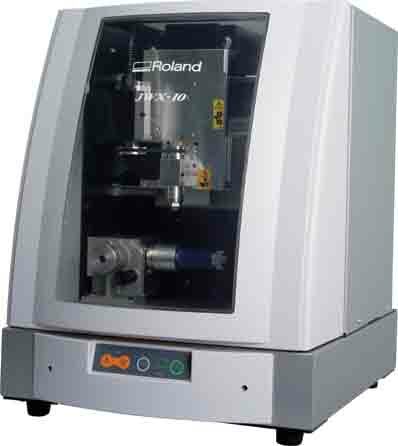 Revolutionary Roland jewellery making devices combine everything you need, including powerful, easy-to-use software, to quickly produce a wide variety of wax models from your designs for fine jewelry. Our low-cost photo impact printers quickly turn pendants and charms into personalised mementos of great value. 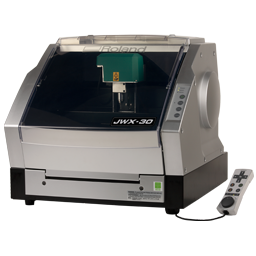 Automated Wax Model Making - The Roland JWX-30 jewellery model making solution comes complete with powerful design software that allows you to create detailed 3D models that clients can review from every angle. From these files, the 4 axis desktop mill automatically produces intricate wax models of beautifully crafted rings, pendants, bracelets, brooches, earrings and cufflinks. JewelStudio allows you to digitize hand-sketches for follow simple step-by-step instructions to draw jewelry quickly and intuitively without hindering your creativity. GemStudio lets you select gems in a wide variety of shapes, sizes and types from an extensive library and place them with a single click of the mouse. You can then modify jewelry to different sizes or alter designs effortlessly. Personalised Pendants and Bling - For an unbelievably low entry-price, you can add value to a wide range of jewellery and gifts, turning them into treasured mementos. Roland’s unique MPX Photo Impact Printers quickly and easily add text, photos, logos and other artwork to a wide variety of metal and acrylic items from souvenirs and plaques to charms and pendants. Photo Impact Printing - For an unbelievably low entry-price, you can add value to a wide range of jewellery and gifts, turning them into treasured mementos. Roland’s unique MPX-90 Photo Impact Printer quickly and easily add text, photos, logos and other artwork to a wide variety of metal and acrylic items from souvenirs and plaques to charms and pendants. Jewellery Vices - To create personalised items and get the best with your designs, why not try our vices? 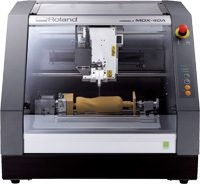 They have been tailor made to use with our machines to help you create the best! Click to see the vices page or Brochure.